In the year of 2001 PRS challenged the much larger Gibson with a Singlecut model, and it was a bit like "David meets Goliath" in a way. Gibson's board sued Paul Reed Smith and a four-year-long feud began, a feud that Gibson eventually lost. Maybe it wasn't so strange after all. The differences between the two guitars becomes clear when you have them side by side, and if you call them more closely, you realize that it´s actually two different kinds of animals. It´s like comparing apples with pears or Mac OSX with Microsoft Windows, they just taste differently. Gibson's mainstream versions, Standard, Classic, Traditional, etc., are not at all comparable to the PRS singlecuts, you have to step up to the Custom Shops to find the same quality. The copy I have bought for this article is manufactured in 2013, and purchased at Deluxe Music in Stockholm, one of the stores that have great knowledge regarding PRS. 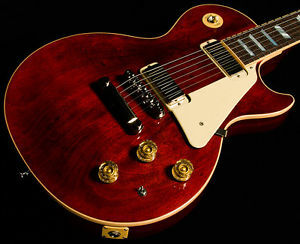 It is dressed in a stunningly beautiful Fire Red Burst, not 10 top but still very nice. The First impression is that it has everything you wish for in a proper rock guitar, just as a Custom Shop Les Paul. What sets them apart is that Tremonti Signature essentially follows the special concept that PRS has built its name through, namely 25 "scale length, 10" radius, high output pickups and a detailed quality that impresses. When you pick it up you immediately get the feeling of "high end quality". 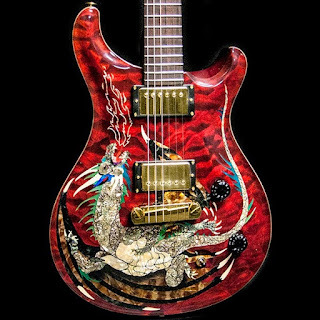 Every detail of this guitar is stunnishing. 3500 dollars is lot of money one might think, but at the same time it should be set in light of what you get in both the short and long term. The price is all about the choice of wood, the quality of the hardware, but especially how much care and time they put into getting everything perfectly adapted to each other. 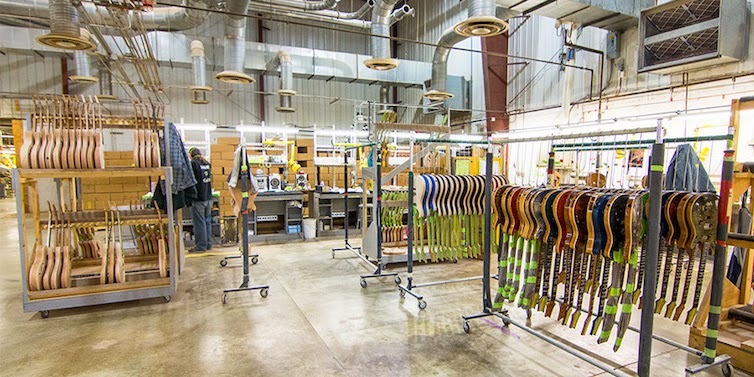 A PRS and a Gibson Custom Shop is about investing in the long-term sustainability and reliability. We have to remember that the globalized world we live in, where low-wage countries produce large amounts of instruments at low cost, making the market flooded by cheap and "pricy and good enough instruments". The price has become a major factor for the buyer nowadays. The quality is, even in the cheaper guitars, much higher now than they were in the 80s. The market competition is cutthroat nowadays. The risk is that it affect manufacturers who makes really fine instruments. Gibson and Fender Custom Shop, PRS, Music Man and other "custom crafts" are instruments in a class by itself. I wish that more people could have access to this type of handcrafted instruments, it is easy to forget this when you see 10 000's of guitars on site after site. 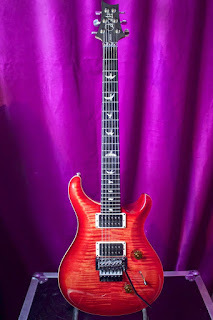 Most of those who embraced the PRS concept testify that they are guitars for touring, and to be played often and a lot. There are of course many other guitars that also makes it and common to them all is that it is carefully crafted pieces. The PRS success story lies in maintaining a high quality across the line over time regardless of the guitar model, duds are extremely rare and Tremonti Signature is no exception. Everything is "totally flawless". Knobs sit differently than what you're used to, but at the same time a bit smarter in a way. The two upper and therefore closest to the right hand are two volume knobs. 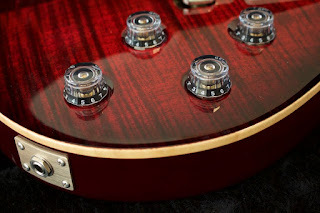 The front volume knob is neck pickup and the rear is bridge pickup. Most would probably say that "they sit wrong", but I choose to see it as a matter of taste and you get used to it very quickly. The pickups are Tremonti Treble and Bass, two pickups with the characteristics that Mark himself was looking for, with a shimmering clean tone and rich distortion. 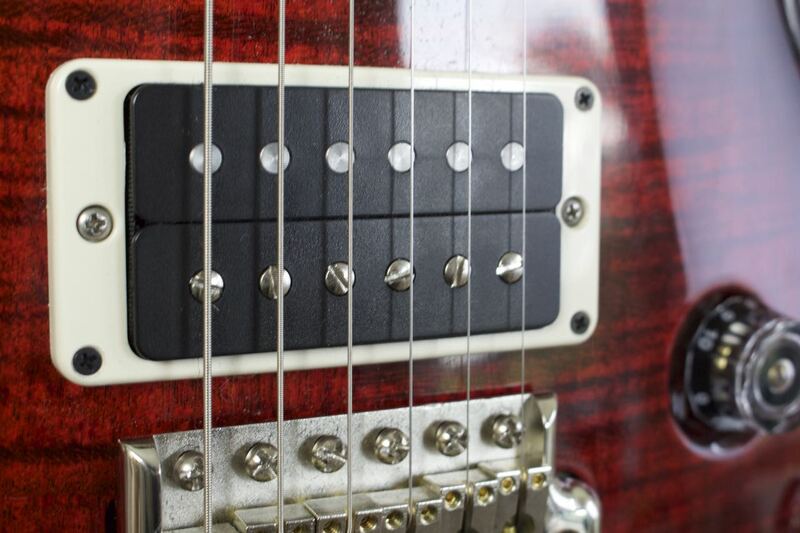 The bridge pickup is a very hot and pushy with an output a bit over 15,4K. 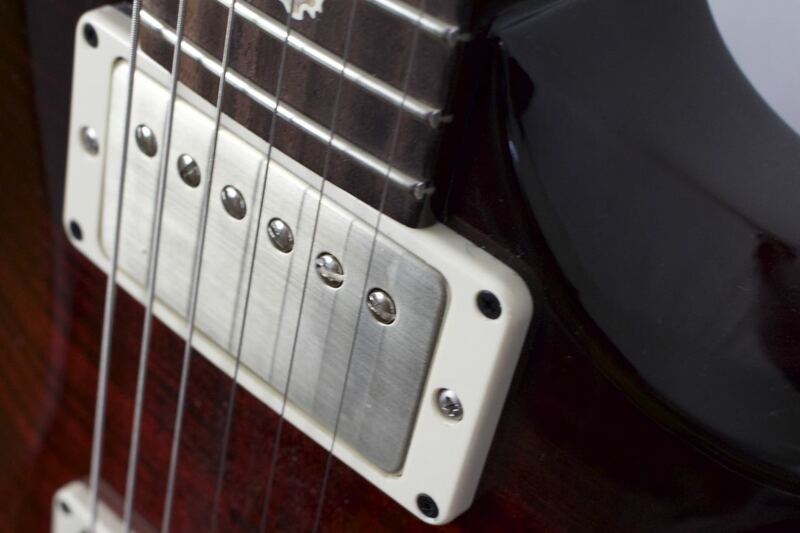 It is built upon a large Alnico V magnet. Despite the very high output, it is relatively quiet and, above all, delivers a great deal of sustain. 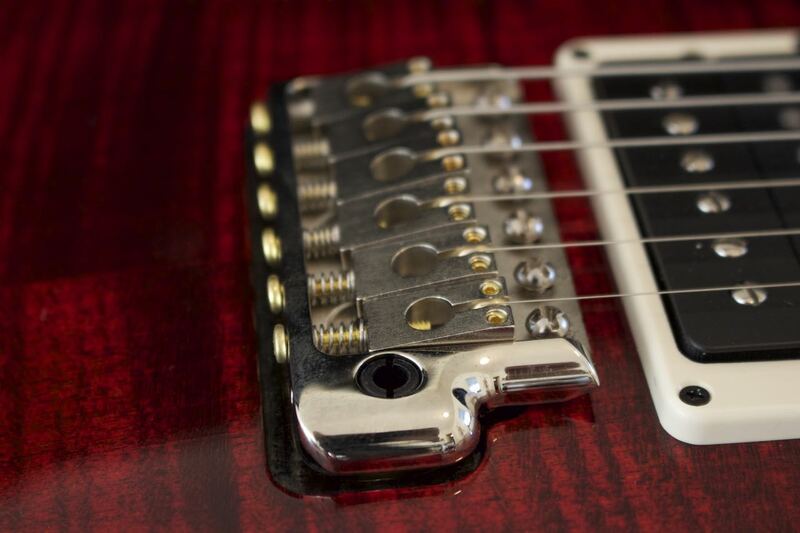 They are very similar to the PRS other high-gain pickup, the "PRS \ m / Metal Pickup". 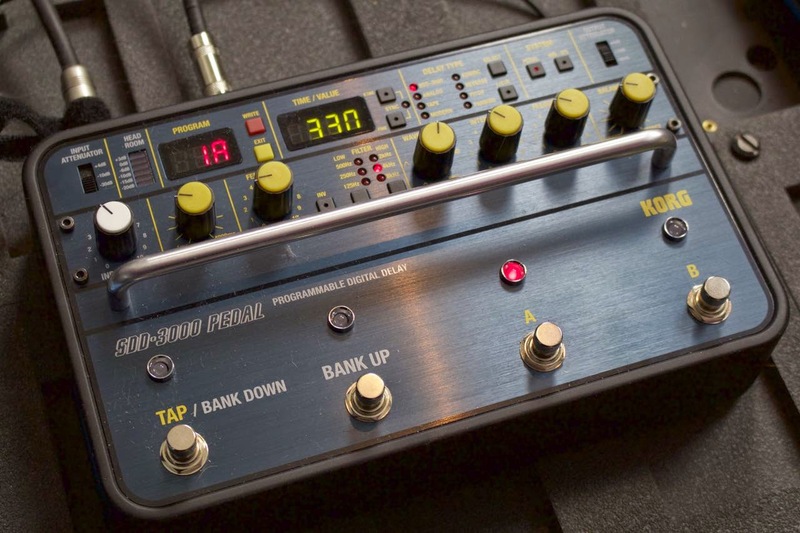 The neck pickup with 7,8K is more vintage dark, so to speak, and delivers a big clean sound. My impression is that it is not so muddy as many other neck pickups. 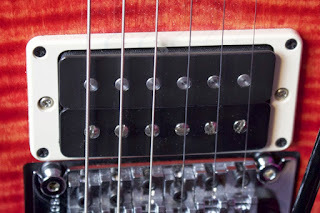 Common to both these pickups is that they "clean up" very well even at very high gain, and they are very "responsive" and reacts to how you play, a detail worth taking into consideration, I think. Another very good thing is great "string separation", even at pretty high gain. 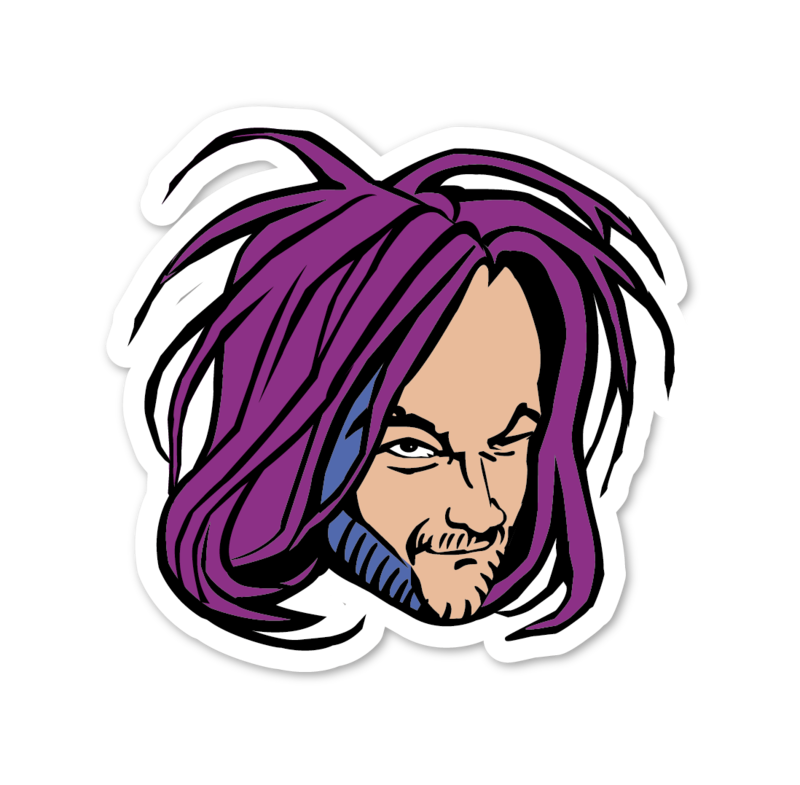 If you listen to Creed, Alter Bridge and the band Tremonti, you can actually hear that Mark often punctuate with "open chords" even with pretty much gain. It would not be possible as easy with other pickups I think. Below is a video where you can hear a sample of clean, crunch and high gain. To remember is that gain is aprox at 5 (10) on the amplifier. 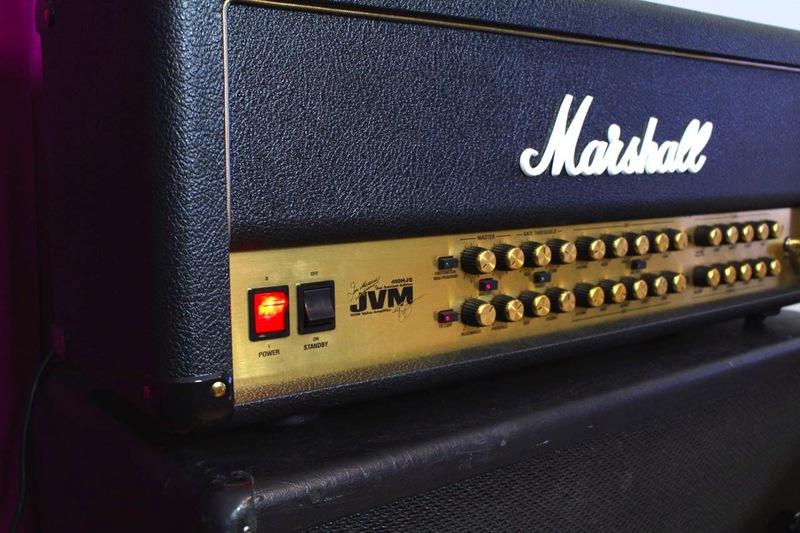 The recording was made by a Marshall JVM Satriani and The Box of Doom isolation cab. 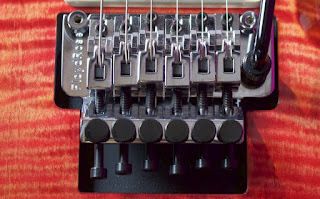 The bridge, PRS Tremolo with Trem-Up Route, is a is a great tremolo system. In combination with the PRS Phase III Locking Tuners it´s basically as reliable as a Floyd Rose and you can sway up and down without any problems with the tuning. It also stays in tune under heavily aggressive playing, such as dive-bombing and so on. How is it then to play then? One important thing with good guitars is that they are not prohibitive, they presents themselves without being noticed. Tremonti Signature is very well balanced and not particularly heavy, it makes it comfortable over your shoulder without weighing one way or the other. 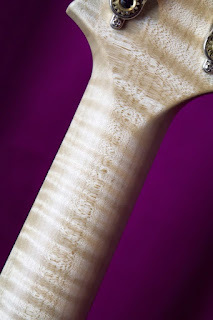 The neck is "Pattern Thin" which means that it belongs to the thinner necks in PRS line-up. This makes it well suited for solo playing without losing the stability i chordsplaying. 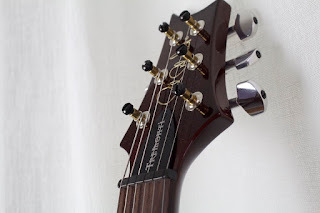 The fretboard, made of Rosewood, creates a bit warmer and softer touch than ebony. Normally, guitars for hard rock genre is made of ebony because ebony produce a bit harder character, but I think Rosewood in this context still is the the right choice. The inlays are beautifully crafted "Bird Inlays"
The big question was whether the PRS Tremonti really compete with a Gibson Les Paul Custom Shop? The answer is in a way yes, and in a way no. If you look at it from a strictly instrumental perspective, it's a completely different guitar. Both have their unique characteristics, but aesthetically yes. They should definitely attract guitarists who identify themselves as "Singlecut Players". I would however say that the similarity stops there, I see really no reason to compare the two in general. PRS Tremonti is a rock monster, just as good Les Paul, but offers the unique PRS craftsmanship and unique feeling that can not meet at a Gibson. It does not mean that it is better, but they are different and a matter of taste. It may sound a little strange, but despite the price tag, just over 3500 dollars, this is a very affordable guitar, regardless if you are a picky Weekend Warrior or a touring musician and seeks something that stays in tune most of the time. 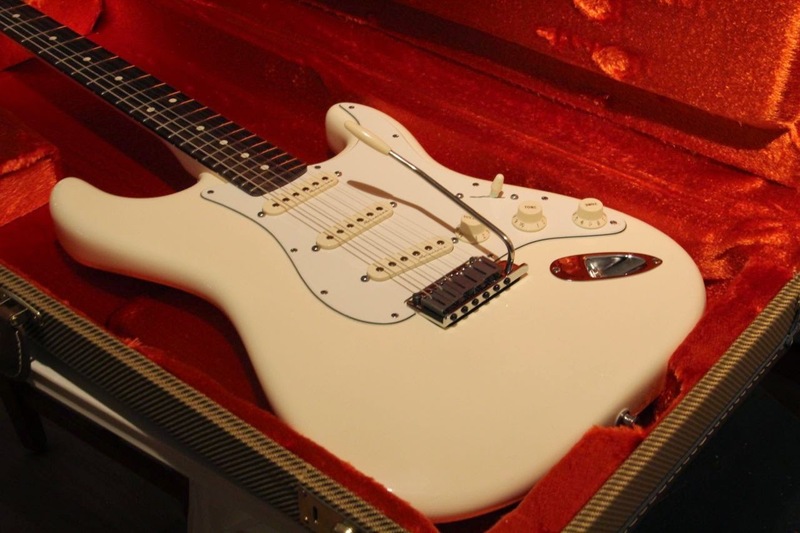 One should of course see these guitars as an investment for the future to give joy for 30-50 years, but it is of course a lot of money for most people. But what the heck "Buy Quality, Cry Once". 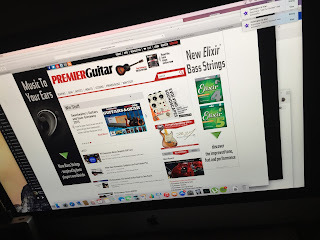 "The Guitar Zombie Gear Walkthrough"
There is of course great humor in the situation when a global guitar magazine, Premiere Guitar, react that strongly on what a small blogger in Sweden is up to. But on the other hand, it's a symptomatic of how the "Big Corporation" relate to "whatever individuals they dislike", namely by threatening them to go to court. - The whole thing feels a bit "Game of Throne-ish", if you ask me. If I was in their shoes I had approached the individual in question and said "congratulations, how about do something for us." It would have been a bit nicer, and it had definitely strengthened their precious brand. The upside of this is that my new name on the videos are so much cooler than the 90-ish "Rig Rundown". Thank ypou Premier Guitar. The PRS flagship Custom 24 dressed up to meet heavy metal players, is that even possible? Yes it is possible, if you are open minded and focusing on tone. Why haven't PRS had a metal guitar in their prior history? Well they did have an early model that was launched with the name "Metal" and it was produced from 1985. It was a heavy metal version of the PRS Custom, but with 25.5 "scale length and loaded with PRS Standard Bass pickups in the neck and Treble in the stable. 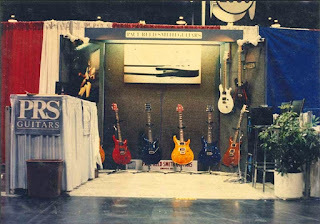 It was in fact among the 20 guitars launched at NAMM 1985. The model "Metal" went into the grave 1987. Since then PRS has had a reputation for not being very "hard rockish", and if it is due to the missed positioning in 1985-1987? I do not know. Perhaps we find the most telling argument among the artists who actually play PRS guitars. Players like Mark Tremonti Alter Bridge and Tremonti, Joey Belladonna Anthrax, John Kempainen Black Dahlia Murder, Alex Lifeson Rush, Brad Delson Linking Park, Dave Navarro Jane's Addition, Orianthi former Alice Cooper Band, Dave Weiner Steve Vai Band Chris Robertson Black Stone Cherry, Lizzy Hale Halestorm, Myles Kennedy of Alter Bridge, Phil Campbell Motörhead, Neal Schon Journey, Pat Travers Pat Travers Band. 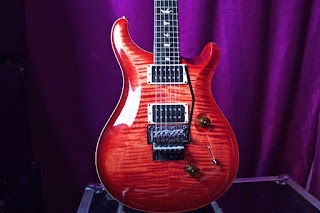 I've probably forgotten many, but there is no doubt that the harder genre embraced the PRS and many above are recognized as very skilled guitarists. In Sweden, however, PRS has not managed to recruit that many known players. 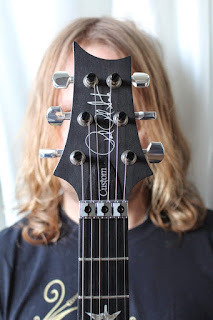 Fredrik Åkesson and Mikael Åkerfeldt of Opeth are very found of PRS though, and they use them all the time. Both their own signature models and various custom models. Fredrik and Mikael are also amazingly proficient at their instruments. While strolling around down town a few months ago I discovered an interesting PRS guitar at Deluxe Music, a local guitar shop in Stockholm. A boutique with great knowledge of ​​PRS guitars. I saw this odd bird Custom 24 "Floyd" hanging on the wall with its profound seductive looks. I couldn't resist picking it up and I almost immediately decided to buy the piece. It had a couple of pickups installed called \m/ , or "Metal" and I thought it was outrageously humorous and clever of PRS stealing that symbol. 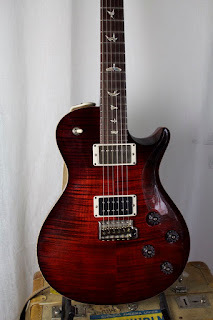 I played the guitar and could quite quickly conclude that those who claim that the PRS isn't "hard rock" should reconstruct their opinion, especially when it comes to this model. This one screams heavy sounds, and the Floyd Rose is extra ordinary in quality. The guitar is close to what one might call the ultimate modern PRS. A Floyd Rose on a Custom PRS is as unthinkable in the community as putting it on an Acoustic Martin guitar. 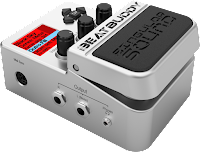 It´s a really bold decision as their own tremolo systems are brilliant. When I interviewed the guitarist Mark Tremonti a month ago he said: "Oh, I didn't see that comming." When I played the guitar the Floyd felt like the most natural thing in the world and the system is perfectly adjusted and i seamlessly melts into the guitar. It is a Floyd Rose Original manufactured i Germany. On the SE model, the Korean version of the Custom 24 "Floyd", there is a similar Floyd Rose but it´s manufactured in Korea. Custom 24 Floyd is basically a plain PRS Custom 24, besides the Floyd Rose, but the neck is maple and the fretboard is made out of ebony. I think that these differences compared to a regular Custom 24 could appeal to both "shredders" and "heavy rockers" quiet well. 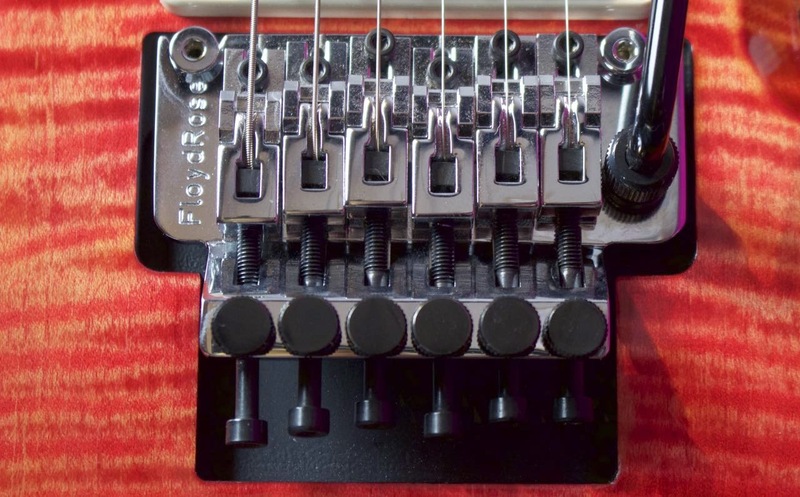 This is actually not the first time PRS putting a Floyd Rose i their instruments. 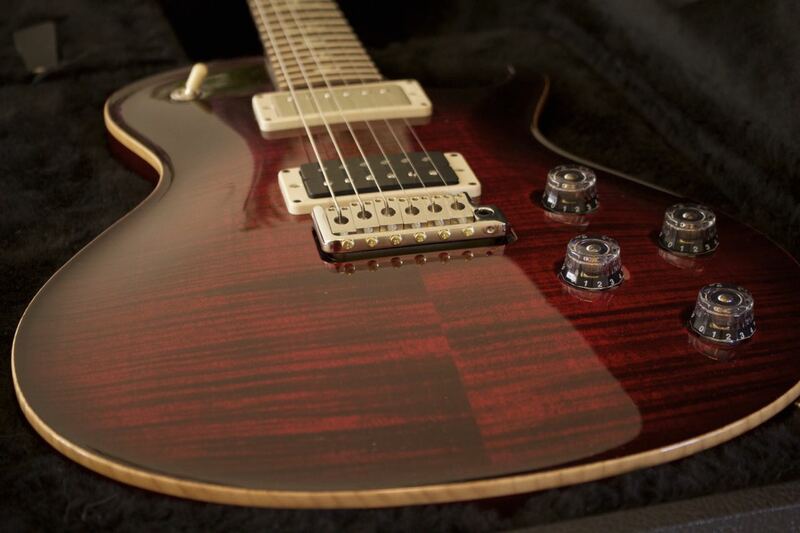 In 2010 they launched an SE model called Torero, also loaded with EMG 81/85. The SE Torero is still in production. I think it's a bit unfortunate that the pickups carry the name "metal", because it make us think they can't be used in other musical genres than heavy metal. The truth is that they are very allround, a bit like the PRS pickups in general but with an "added value" of extra high output. In the bridge we find the \m/ Treble (model number ACC 3408). It responds incredibly well in "high gain" and the string separation is very clear. It´s based on a Ceramic Alnico magnet with an impressing output of 15,7k. 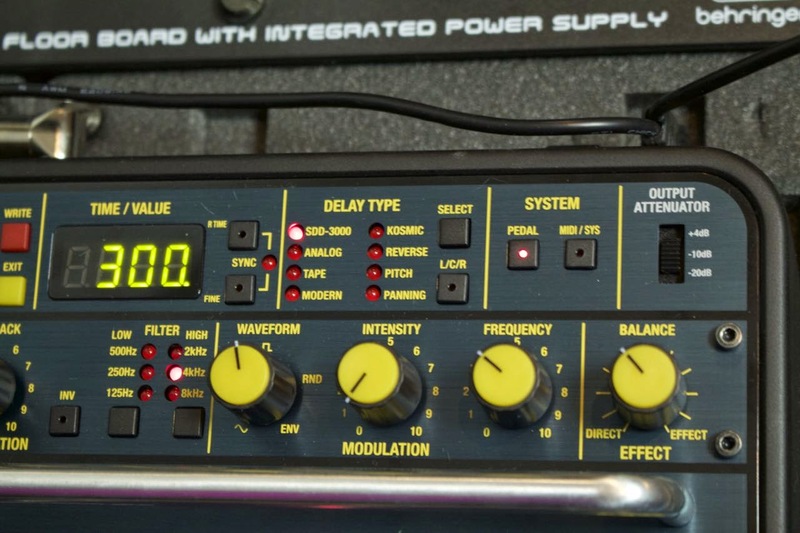 In the neck position we find \m/ Bass (model number ACC 3409) with an output of 8,5k. It provides significantly more bass in the character, which always fits the neck position. 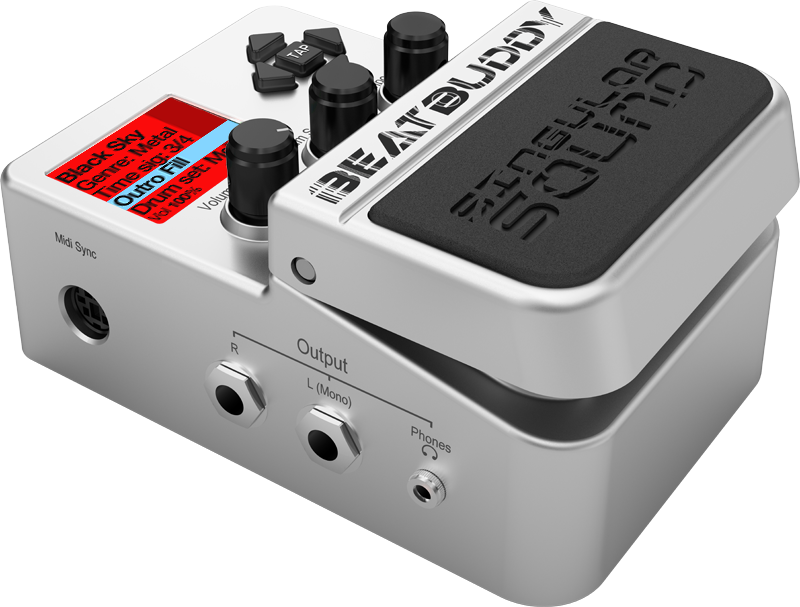 It´s excellent in combination with \m/ Treble and you get just what you need for playing in tougher contexts. The body is a little thinner than a regular Custom 24 and it´s made of mahogany with a maple top. The finish is Blood Orange, and it´s insanely beautiful. Normally I don't like colors at all and when people ask me why I always wear black clothes I answer "until there is something darker to wear". The neck is maple, they call it the "Rock Maple" and it is pretty much the same as "Curly Maple," an unusually fine grained maple. It gives the guitar a special appearance and plays beautifully. Custom 24 "Floyd" comes with the neck profile "Pattern Thin" while ordinary Custom 24 has the option "Pattern Thin" or "Pattern Regular". "Panther Thin" is almost the same as the old term "Wide Thin". The "Panther Thin" is a good choice and it´s very much like the Ibanez Wizzard Neck, not hat wide though. The fingerboard is also a bit unusual for the PRS Custom 24, they normally comes with Rosewood, but here they have chosen Ebony, which is a harder and feels a bit more while playing. Ebony is also a bit more resonant, great for "taping" and the tone gets a little more distinctive. Tuning Machines are Phase III with the beautiful "open back" and they work flawless, even if you don't lock the nut. Final judgment on PRS Custom 24 "Floyd"
This guitar is one of the more modern PRS guitars you can find on the market and it´s absolutely perfect in all it´s details. Balanced, smooth and incredible easy to play, with a tone to kill for. It comes in a premium hard case with all the accessories you need. Price? A bit above 3400 dollars which may scare you off, but as a friend of mine told me some years ago: "Buy Quality, Cry Once". For players who really needs an extremely well sounding instrument to trust in a touring environment, this is well invested money. If you can't afford the US model, also called "Core", check out the SE version made in Korea. The SE model is also a killer guitar, in middle range price segment, and costs around 900 dollars. I have been interested in Paul Reed Smith for quiet some time now, and I think that the story about him and his work is amazing and worth spreading. It´s a story of an obsessive guitar luthier who started out with two empty hands, a great deal of curiosity and dedication, and created a global brand around his stunning guitars. I would argue that Paul Reed Smith is for the guitar industry what Steve Jobs was for Apple and the computer industry. Both crazy entrepreneurs with the same unbroken faith in themselves and unstoppable in their ways to accomplish their visions. There are many stories about Paul Reed Smith and how he created a series of guitars with such a high quality that many people nowadays even say that they are "actually too good". It have not been really clear to me what people mean by that though. Too good? 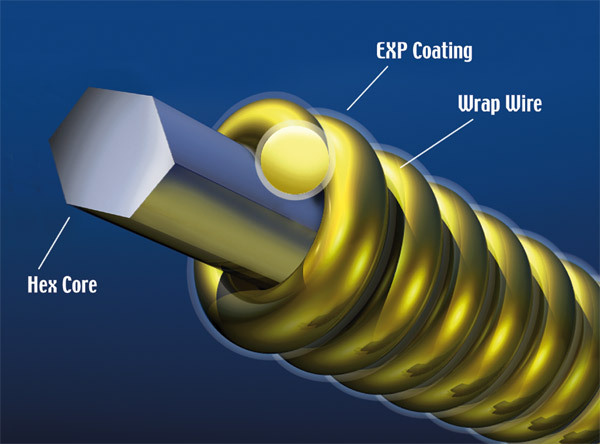 High quality instruments often go hand in hand with high production costs and in turn high price towards the customer. 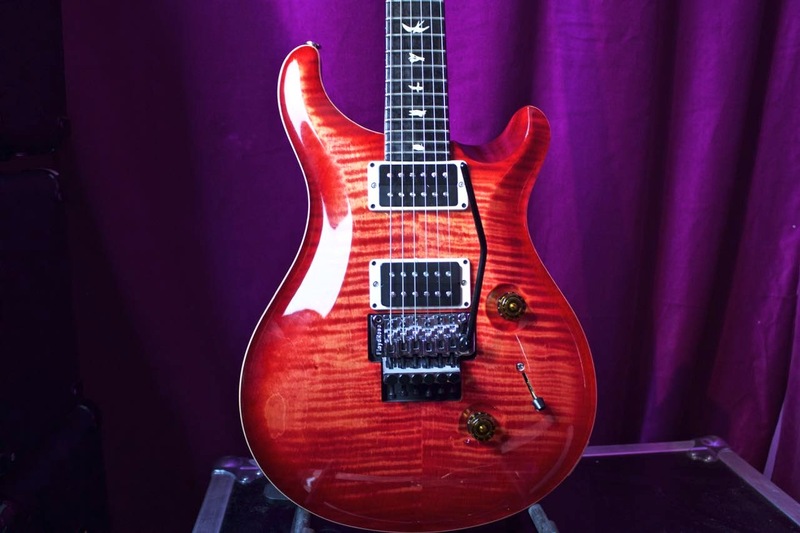 An American-made PRS is considered a guitar in the high price and quality range. 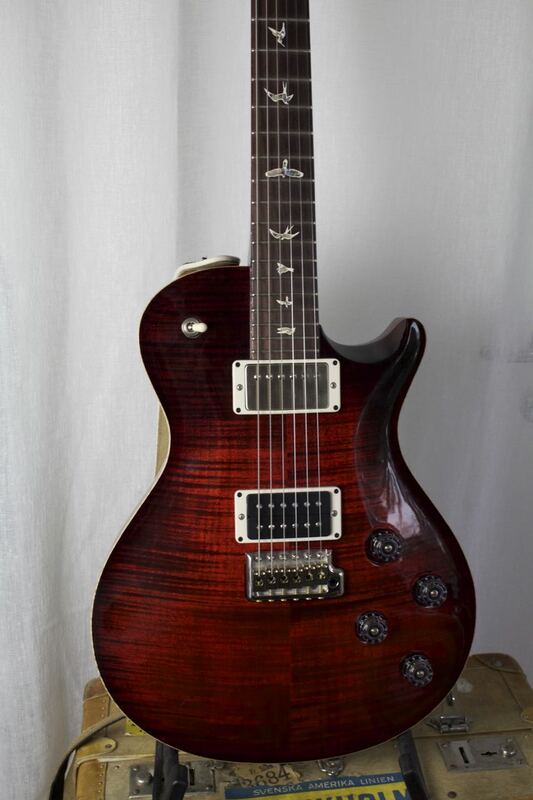 Since early 2000s there is a series of cheaper PRS though, they so called SE models. They are manufactured in Korea, but still very well built for a guitar i that price segment. One explanation of the high quality is that basically all employees are guitarists themselves. That means PRS has employees who understands what makes a good instrument good. 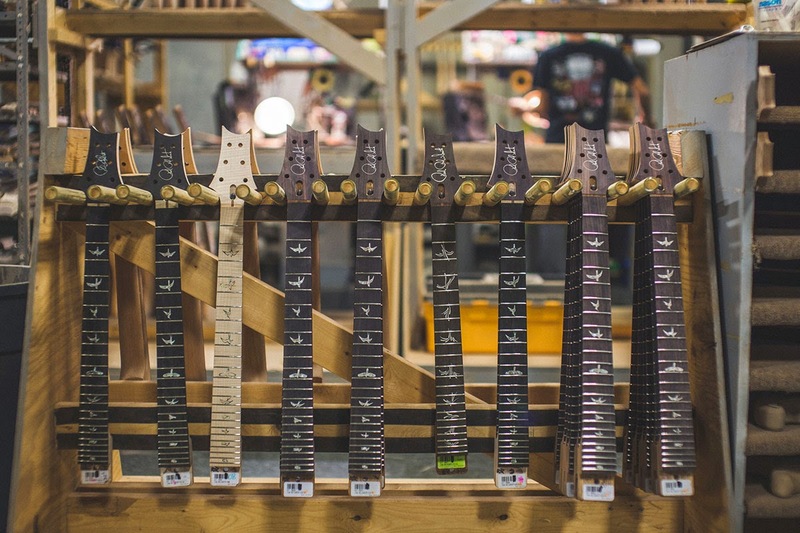 Employees can also build their own "custom instruments," so called "Employee Guitars". From a management perspective, it is an interesting approach because it means that the employees contribute to the company innovation with their own ideas. These guitars are also extremely attractive in the seconhand market. 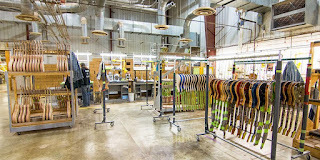 PRS guitars are well known for their "consistency", there are in fact no mistakes in the production. All guitars I have tested is flawless. Their is always a risk when the demand exceeds supply or when you're trying to cut costs, because greedy people eventually become stupid. A generic problem in all industries. Both Fender and Gibson suffered from this phenomenon at the time when Paul Reed Smith started his work. 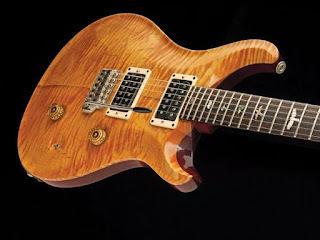 The early PRS, until 1985, were all completely handmade. 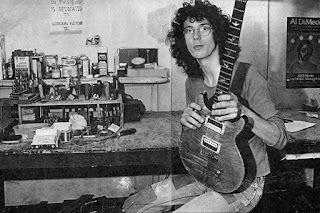 Down below you can see the first PRS Custom that Paul built by hand in 1984, only 28 years old. He had no training whatsoever in guitar building, which is worth noting as those guitars are considered the best built guitars in the world ever. 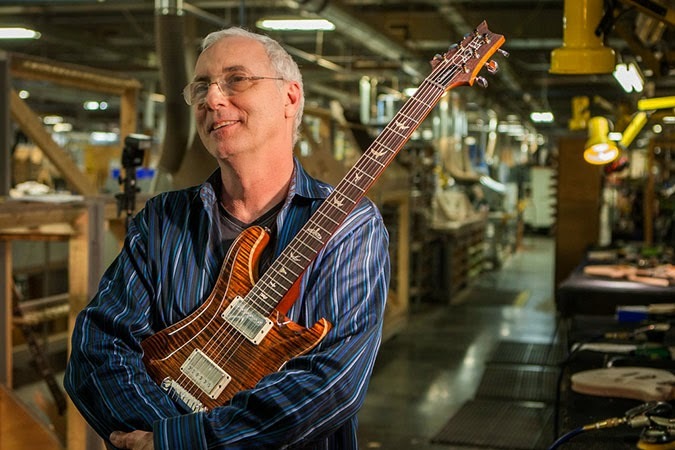 Paul Reed Smith made his first guitar during college in Maryland. A funny thing is that he use to talk himself in to the backstage area when well known artists were playing in town. Ted Nugent guitarist Derek St. Holmes once tried his guitar # 2 and played it live and later bought it for the stunning amount of $200. Even Carlos Santana got a visit and that meeting resulted in a collaboration that continues to this day. 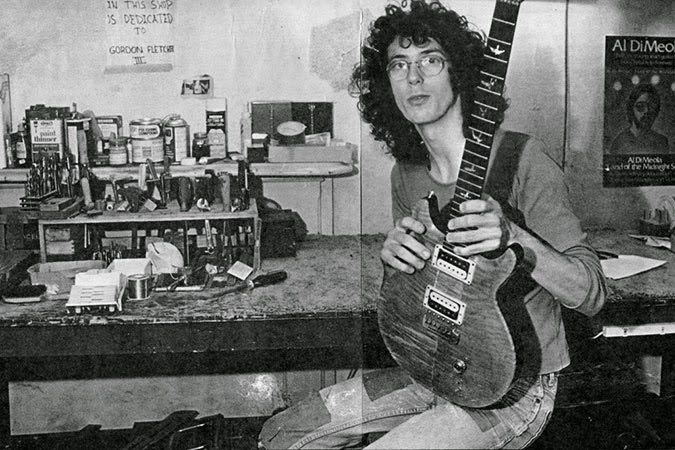 Paul Reed Smith was working extremely hard on his "impossible project" to compete with the big companies, he once told a reporter that he had not bought new clothes in years and that he sometimes couldn't afford proper food. But his stubbornness and his passion for his guitars finally gave him commercial results and he started the company in 1984 and the plan was to build a series of prototypes and launch them at NAMM 1985. Paul traveled to New York and gave Sam Ash Stores an offer and got an immediate order of 30 instruments. The following months orders were worth over 300,000 dollars, which was a lot of money at the time. With the order book in their hands the company raised another 500,000 dollars to build a factory. The exhibition NAMM was imminent, and because they didn't had the plant ready they had to build the guitars for NAMM exhibition by hand, these guitars are nowadays called: "THE NAMM 20 guitars". 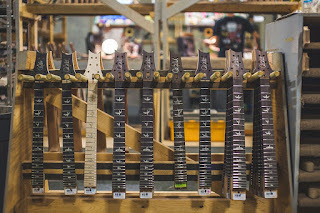 These guitars were the very first guitars that PRS company unveiled, and they did it at the same time the guitar industry was facing big changes and the leading big companies faced problems with both quality and revenues. In 1985 PRS began to automate some operations at its factory on Virginia Avenue in Annapolis. They kept their factory there until 1995 when the they moved to Stevensville in Maryland. After 1995, the high quality guitars continued in that same direction, but there is no question about that the first instruments made entirely by hand is legendary and very nice. Still today, a large part of the production is "made by hand", except for certain non-critical operations such as sawing and milling which is done by CNC machines. But all detailed work is done by people, and that is of course what makes the instruments so extremely good compared to more or less "fully automatic manufactured" cheap n nasty instruments with weak quality control. It doesn't matter what guitar model you try in the US series, different models may fit different playing styles and tastes and flavor of course, but they all feel very classy. The original construction, still continuing, was based up on a 25'' scale length, which simplified can be seen as neck length. The scale length positioned PRS midway between Fender Stratocaster and Gibson Les Paul. That makes it a little longer than Les Paul fans are used to, which is 24.74 "and a little shorter than the Stratocaster, with its 25.5". 25.5" scales provide a stronger bell-like type of basic sound, and 24.75" scale guitars gives a little warmer tone, much like you think of a Stratocaster vs Les Paul. A shorter scale length also gives the guitar less string tension and therefore becomes somewhat easier to play. We are talking about details here though, most people doesn't notice this at all. There are many things that makes a Les Paul and a Strat sound differently but this is one of the reasons. If we look at the area of ​​the radius the PRS also put themselves in between Fender and Gibson, and most PRS guitars have 10". Most newer Fenders has 9.5", the vintage has 7.25" and Gibson are generally 12". The first PRS guitars had 24 frets, but the company later started manufacturing guitars with 22 frets to challenge the Gibson camp. PRS guitars are well known for its wide tone range, and you can get them to sound like both a Strat or a Les Paul by combining different pickups with the 5-way switch. One interesting thing with Paul Reed Smith's approach to the "tone chase" is that he was thinking backwards. Most manufacturers make the guitar first and then try to find the best pickups for that particular guitar model, but Paul begins with the pickup and build guitar to enhance the character that is in the pickup. Paul has rarely been using other manufacturers' pickups. It is said that he has a large drawer with over 500 hand wired prototype pickups for all pups he has been developing over the years. 10 years ago he listed 21 things you need to consider when building a great sounding guitar. The secret list was PRS "Holy Bible" and he called it "21 Rules Of Tone". That list formed the basis for some changes they have made the past 10 years and probably also for future changes. 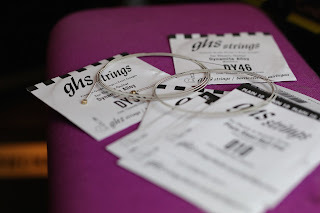 The list was actually a result of long discussions he had with his father and it is exclusively about the physical laws that govern the guitar construction, by definition, such as the choice of tailpiece, tuners, nut material, neck joint, wood, etc. He likes to talk about the fact that guitars, or any other instrument really, has to deal with "subtraction", ie the material's ability to drain tone from the string characteristics or to maintain and even strengthen it. He often refers to Newton and that every force has it's counterforce. If you put the resource 10 in to something, your mission is to get as close to 9.9 in the output. To get more than you add is physically impossible, and if you do a poor job you might get as little as 7. This is where the magic starts, every little detail in the guitar matters. I think this list, "21 Rules of Tone", exemplifies Paul's obsession for tone and his passion for what he does. On YouTube, one can see how he actually gets tears in his eyes for real when he talks about a specific guitar's tone or a particular guitarist with magic fingers. There are very few business leaders today who weeps for the love of their products. The only one I can think of is Steve Jobs, he had that same passionate mindset for his products. In order to make the upcoming articles on PRS guitars I have been forced to sell many of my own instruments to access guitars both in the SE segment, made in Korea, and in the US made. I will test McCarty, P22, Custom 24, Tremonti Signature, Tremonti SE + Åkesson SE and the amplifier PRS Archon 100.